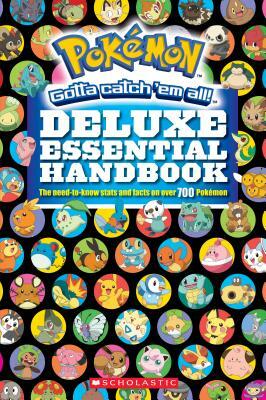 Pokemon: Deluxe Essential Handbook — Scholastic Inc. It's everything you ever wanted to know about every Pokemon -- all in one place! This revised and updated edition of the 2012 bestseller has stats and facts on over 700 Pokemon. The book includes 64 new pages focusing on the new Kalos characters that just debuted in the Pokemon X & Y videogames, plus inside info on the new Mega Evolved Pokemon. This book is an absolute must-have for Pokemon fans. It's sure to be a bestseller with kids of all ages.